Our residents have fallen in love with Crossings' homes, amenities, lifestyle and community spirit, and they are excited to share their story with you. 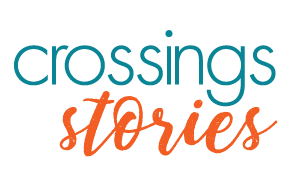 Browse our collection of resident stories and learn how Crossings is empowering families like yours to live their dream life. On September 7th 2018, Crossings opened 4 new Show homes in style by our builders, Van Arbor Homes and Cedar Ridge Homes. Over 400 visitors were in attendance over the course of the event, enjoying hors d'oeuvres, live music and the latest design trends. On Saturday, June 3, 2017, Crossings opened its arms to visitors offering a fun filled afternoon adventure around the neighbourhood. Participants picked up their passport and registered for the excitement at the new show homes. Travelling around the neighbourhood visiting the new businesses, recreation facilities and the library to receive free food and drink samples, demonstrations, tours, free skating and more and getting the passport stamped at each location. With their passport complete, participants headed back to the show homes for a free family BBQ and entered for a chance to win the grand prize of a Summer Smoker Package. Crossings Spotlight is a series that highlights why the community of Crossings is unique, and what sets it apart from the rest. Here's James Wakefield of James Hardie Building Products to tell you why Fiber Cement Siding can be an absolute benefit as a homeowner.